Today I started my first set of seeds from the list. I have not got round yet to buy seed compost and last year’s bag is open and frozen in the shed. Therefore I started with germinating seeds on tissue. I have very good experience with this with basil and tomato, sometimes even reaching 100% germination rates. I figure that this works well with light-germinating seed, but could also work with dark-germinating seeds when using a light-less box. Today I prepared basil (red basil, basil genovese and giant leave basil from Naples area), chives, lewisia and rhodochiton atrosanguineum. For this I fold 1-2 sheets of 4-layered toilet paper tissue to 3 or 4 layers, place them in a non-transparent plastic freezer box (like tupperware boxes or empty margarine boxes), moist the tissue – draining any excess water, and place the seeds on top. I put a lid on the box and place this on the window sill where it gets warm air from the heater (this year I bought a heat mat, so I am using this). 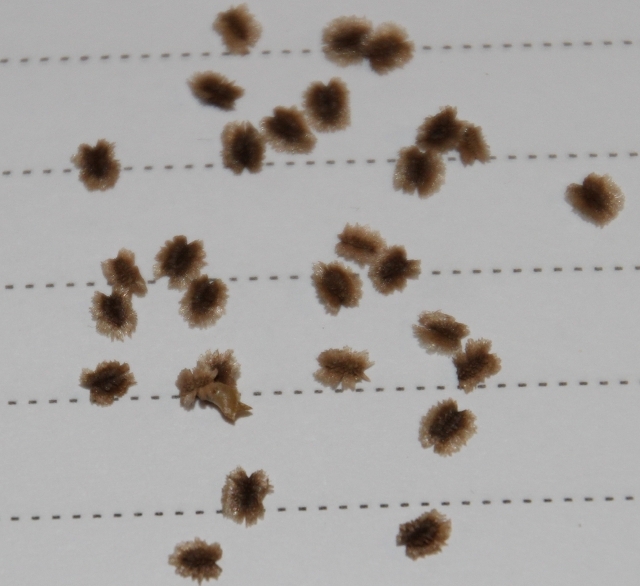 Small seeds of 1 mm or less I place on top of the tissue, larger seeds I sometimes put under a top-layer of tissue, this way they will get more even moisture and do not dry out from above too easily. However, this top layer will make it harder to pick them out when potting on. I put different seeds into the same box – space permitting – using separate tissues if I suspect significantly different germination times, so that I can easily take one batch out of the box while leaving the other. To avoid mixing up what is which, I place different numbers of seeds for each kind and note the number of seeds. This way I can tell them appart. I use painter’s tape bits to stick on the boxes and label, noting plant, number of seeds and sowing day. If requiring complex treatment like moving into and out of fridge, I note the date for the next action and what to do. Basil I have germinated since two years like this, each time with 100% germination rate and germinated seeds are easy to move on. 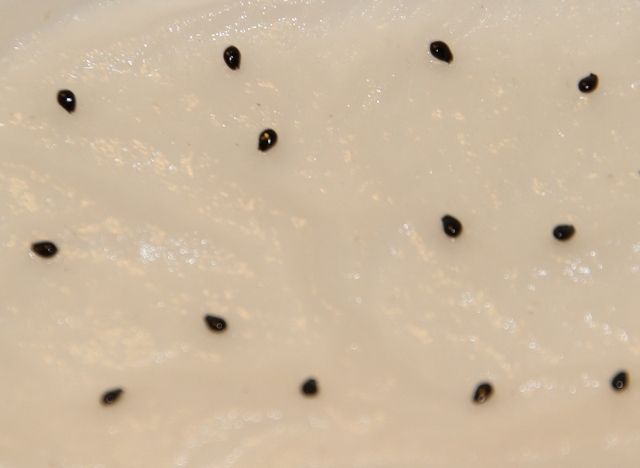 Note how the basil seeds have already a hydrate cover, even though I put them into the tissue only 30 minutes before taking the photograph. I have germinated leek this way, this year I am trying this with chive. 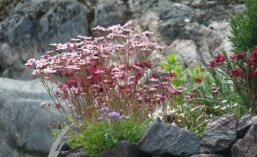 For the lewisia seeds, this is my first shot of trying. I figured as they are light-germinating and people report success germinating also without cold treatment, I will give it a go. If it does not work, I can move them on to the fridge. 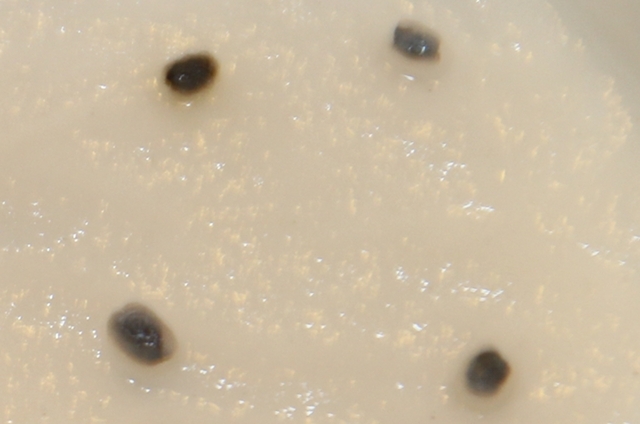 I figured the same for the rhodochiton atrosanguineum seed. I have plenty, as I collected them last summer myself. Kind of difficult to know what are seeds when harvesting, as not all flowers have seeds and there are lots of candidate bits of plant. Here is how they look like clean and dry.